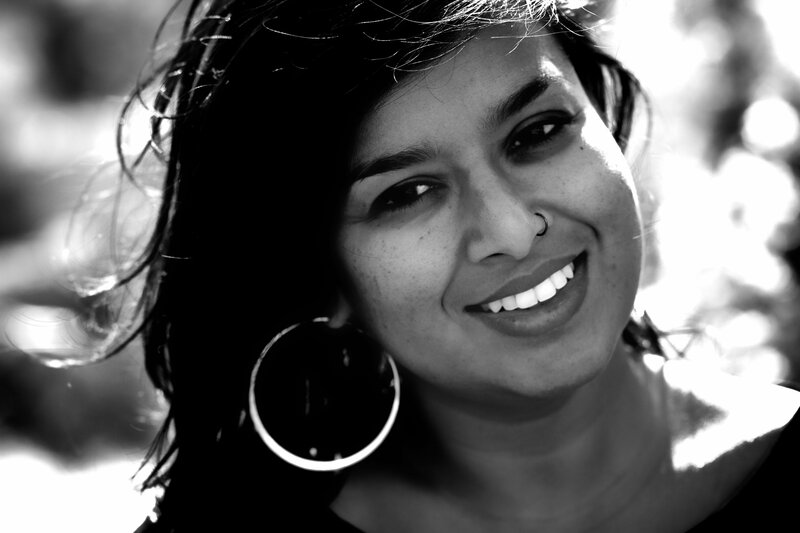 Guest Post by Nayomi Munaweera. Sri Lankan cuisine is a rich and complex blend of flavors. It consists of rice or another staple—hoppers, pittu or string hoppers—served with a minimum of five curries. I describe it as a marriage between Ethiopian and Thai. Of course, some South Indian dishes are similar, but what most Americans think of as “Indian” is North Indian and in my opinion, they are quite dissimilar. Instead, think of rich Ethiopian injera bread soaking up creamy coconut-based Thai curries. Like Ethiopian, Sri Lankan food tastes best when eaten in the proper way, with the hand. In an elegant and graceful dance of the fingertips, never letting the food soil the digits beyond the second knuckle, rice and curry are mixed into bite-size balls. When you are done with the meal, the host sets a finger bowl full of warm water with a floating slice of lemon and a napkin at your elbow. It is all that’s needed to perfectly clean your hand. After my family moved to Los Angeles when I was twelve, eating with our hands felt like something shameful, a secret that we shared only with other Sri Lankans. If our American friends saw us, we were sure there would be judgment. My mother, lacking the proper spices and time, cooked some approximation of rice and curry but only our closest intimates were allowed home to see us eating in the traditional way. Outside the house we used knives and forks, even for our pizza. It was a way in which we were starkly different from the people around us. A way that we were convinced would be read as savage and uncivilized by mainstream American culture. There are a few Sri Lankan restaurants in major American cities. Los Angeles has three. Manhattan has two, Banana Leaf and Sigiri. In the Bay Area, where I live, there are none. This lack makes the desire for “home” seem like an actual physical hunger, an insatiable craving, a desire for a memory of tastes. When I find myself in cities like Toronto, Paris or London, places with big Sri Lankan immigrant communities, my very first trip is to find the Sri Lankan restaurants. No matter where I am, it seems I am looking for home. Recently I found myself in London. I landed at Heathrow, dropped my bags off, and immediately searched for a Sri Lankan restaurant for dinner. At the restaurant I ordered string hoppers—pancakes made of the finest rice noodles, resembling small flat birds’ nests. With this, I got a spicy chicken coconut curry and a coconut sambol—a salad of freshly grated coconut with various spices in it. It was a simple meal, but one that flashed me straight back into the kitchens of my childhood. The tastes invoked being a small child in Sri Lanka and watching my mother and grandmother grate coconut, fry spices, and simmer chicken in coconut milk until the meat was tender and falling off the bone. I forgot myself and was soon happily eating with my hands. Looking around, I realized that so were all the other guests. Outside, the swirl of London carried on; inside I felt at home and deeply connected to the memories of my far away homeland. This is the power of food and flavor, the ability to connect us to our lost and beloved places no matter where we are in the world. Recipe for Nayomi Munaweera’s caramelized eggplant curry. This dish will not look pretty. It’s also lot of hard work. But I promise you it’s absolutely worth the labor. It’s one of the crowning achievements of our cuisine and even people who hate eggplant, such as myself, adore this dish. When I cook for my friends, this is the dish that’s always clamored for. Enjoy with rice and other dishes such as lentil curry, salmon curry, coconut sambol, or kale malum.